The Grand Prix of Valencia is the last race on the Moto GP Calendar, which takes place in Novemeber on the “Ricardo Tormo” Race court. 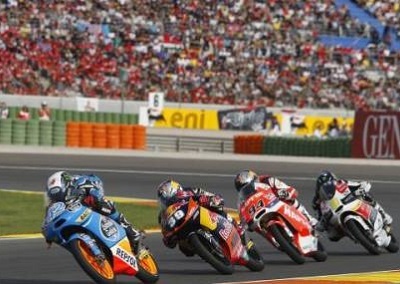 Over the year “Ricardo Tormo” has received numerous awards and is considered one of the best courses in the Moto GP. The construction of the race court allows the spectators to follow the whole cycle of the race in a whole, not just short sequences like on many other venues. All 6500 seats on the tribune offer an overview over the whole track, giving the visitors an unsurpassed Moto GP experience without missing out any details of the race.